This Easter share the love with more than just chocolate! For around $50, a hamper will provide a selection of the most-used items that we are in urgent need of in Foodbank, our free grocery store. Each week, more than 700 people rely on Foodbank for food and household items. As the government continues to deepen its cuts to the SRSS – the Centrelink safety net for people seeking asylum – the need for our support and services grows. Coles Online will collect and deliver all orders to us every Wednesday, for free. We’re always in need of fresh produce, or staples such as coconut cream, honey, oil and lentils. 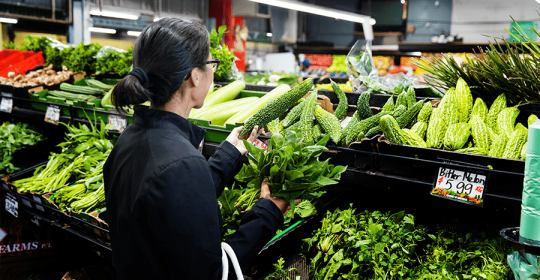 Find out how you can donate food and household essentials at any time of the year, including dropping groceries or gift cards to us in Footscray or one of our collection points in Melbourne and Geelong: Give food and goods. Thank you for your support, we couldn’t do it without you.